After having been taught a lesson by the New Zealand Silver Ferns, the Fiji netball side is still confident of a good outing at the World Cup next month. The Pearls have lost 91-31 to the Silver Ferns last week. Pearls Coach Kate Carpenter says the big loss against the Kiwis has not deterred the team in its build up. 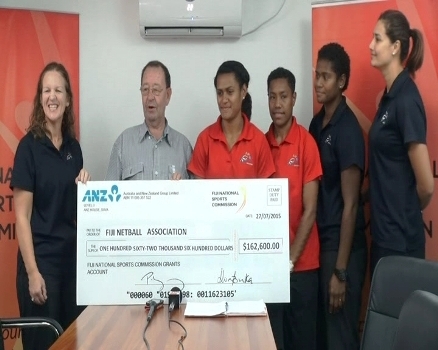 Meanwhile, the Fiji National Sports Commission handed over a cheque of one hundred sixty two thousand six hundred dollars to the Pearls today.